How technologies shape the future of logistics? CoreTeka CEO Alex Isachenko has visited Ukrainian Logistics Community with the presentation on technologies and trends that will be widespread in logistics and transportation spheres in several years. They include blockchain, big data, 3D printing, chatbots, internet of things, sharing economy, autonomous vehicles, drones, computer vision, AR/VR, machine learning and others. To prove this statement Alex presented a number of practical cases how giants like Walmart, Amazon, DHL in cooperation with large technology companies implement technologies in day-to-day activities. The innovations lead to the decrease of costs and time spent on a large number of supply chain operations. The presentation was ended with the lively discussion of the future of logistics industry in terms of wider application of technologies. 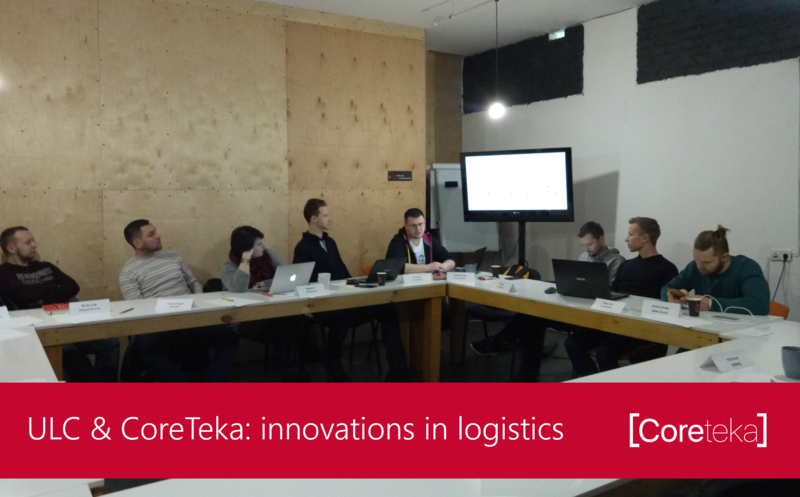 Logistics is one of the core domains of CoreTeka expertise and we try to keep our ears open to new technologies and their implementation in the business processes. If you have the same sphere of interest, follow us and our news. Stay tuned for that!